The South Carolina AHEC Practice of the Year Award recognizes practices and training sites that exhibit exemplary dedication to the teaching of health professions students and a commitment to serving their communities. The South Carolina AHEC recognizes Morphis Pediatric Group as the 2017 Practice of the Year. 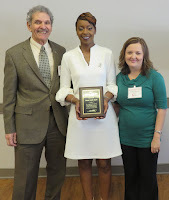 Dr. Elizabeth Morphis accepted the award on behalf of the practice at this year’s award luncheon. Morphis Pediatrics epitomizes the true meaning of a health care family. 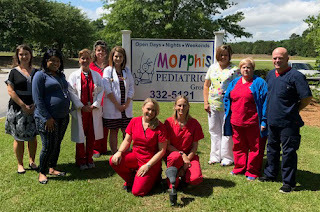 The time I spent with Morphis Pediatrics taught me so much about having a caring and supportive health care team, from diligent nurses and techs, to skilled physicians, nurse practitioners, and physician assistants, I have never met a group of more devoted people. They say it takes a village to raise a child, but Morphis Pediatrics will help you raise up healthy ones. This “village” includes 7 providers including Dr. James Morphis Jr.; Dr. Elizabeth Morphis; Maggie Flowers, PA-C; and Casey Moore, PNP. Part-time providers include Ondria Sawyer, ND, APRN-BC; Vicky Craig, FNP-C; and Aquilla Bec, NP. Additionally, this busy practice houses an on-site pharmacist Sarah D. Boan and a lab managed by Jennifer Pritchard. The South Carolina AHEC Preceptor of the Year Award recognizes unwavering commitment to health professions students’ clinical education. This award distinguishes an outstanding community-based preceptor serving South Carolina health professions students. Each year practitioners volunteer to provide hours of clinical education to students from various professions. It is their dedication to the education of the next generation of health professionals that we honor with this award. This year’s Preceptor of the Year is Benjamin Wade Lamb, MD. I believe that for most medical students, there is usually one rotation that provides that ‘ah-ha’ moment, solidifying for the student the profession in which he or she would like to specialize”, writes one medical student, “For me that moment came while doing a family medicine rotation in Lake City, and in no small part, that moment was because of Dr. Wade Lamb. Dr. Lamb provided me with an invaluable glance into the positive, generational impact that a family physician can have on a community, and insight into the influential role that can only be appreciated as one experiences it, and not from textbooks . . . Every patient tells a story and, with Dr. Lamb’s knowledge of each patient’s family and unique ties to the community, each patient was an opportunity to learn not just the requisite medical knowledge, but also the equally important humanistic knowledge. These student observations are at the very crux of the South Carolina AHEC mission to attract providers to roles in rural communities. 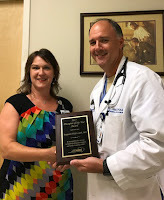 Dr. Lamb made such an impact on the student whose words are highlighted above that the student opted to practice family medicine following his clinical rotation at Carolinas Medical Alliance, Lake City Primary Care in Lake City with Dr. Lamb. It is evident how Dr. Lamb’s demeanor impacts both students and patients alike. Because of the impact he has made on the numerous students he welcomes to family practice rotations, Dr. Benjamin “Wade” Lamb was named as the 2017 Preceptor of the Year by South Carolina AHEC. This locally grown and educated physician is a graduate of both Francis Marion University and University of South Carolina School of Medicine. He completed his residency with McLeod Family Medicine Center and began his practice in Lake City in 2003. Dr. Lamb serves as a Clinical Associate Professor with MUSC/AHEC as well as FSC Assistant Professor of Clinical Family and Preventative Medicine with USC School of Medicine. He is a Diplomate with the American Board of Family Medicine as well as clinical faculty with Edward Via College of Osteopathic Medicine. An avid outdoorsman Dr. Lamb enjoys hunting and fishing, as well as, coaching several sports in his community. The South Carolina AHEC Educator of the Year Award recognizes excellence in instructors of continuing professional development in the South Carolina AHEC System. The Educator of the Year is selected based on their ability to present content in a practical, useful format that meets the needs and expectations of the program participants while communicating the material enthusiastically. Educators must also successfully adapt presentations to address multiple learning styles. This year’s Educator of the Year Award recognizes Macie Smith, EdD. Dr. Smith began working with Mid-Carolina AHEC in 2012. She is a licensed Social Worker that primarily works in Gerontology. She has over 14 years of experience working with aging and vulnerable populations. Dr. Smith provides programs related to Alzheimer’s disease, dementia, healthy aging, professionalism and ethical practices in social work. Dr. Smith has a delightful personality and is an excellent communicator with abundant knowledge on a wide range of topics. Her presentations are engaging and she is in high demand as a speaker due to her enthusiasm and connection with her participants. Participants report that Dr. Smith exudes a commitment to the learner and developing their understanding of the material. Please visit www.midcarolinaahec.org to find Dr. Smith’s upcoming programs. The South Carolina AHEC Gateway Award recognizes individuals who are committed to furthering the development of future health professionals and are distinguished in their service to students in the health careers pipeline. This year’s Gateway Award recipient is ZaQuavia Tyler. 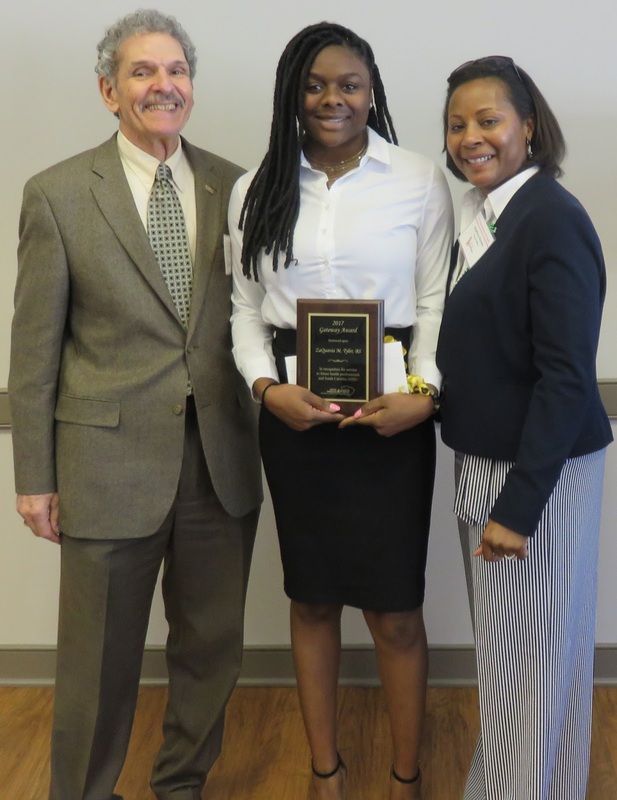 As a Coastal Carolina student, Ms. Tyler took the initiative to charter the Bench to Bedside (B2B) Club at the University, establishing the club as a institutionally-recognized and supported organization. This included identifying a faculty champion to serve as club advisor, organizing ongoing service learning experiences for club members at a local nursing home, coordinating on-campus activities in recognition of Breast Cancer Awareness Month and coordinating two on-campus mental health first aid certification trainings for club members. In addition to being a student and organizing all of these activities, she managed the election and training of club offices while completing her final undergraduate semester. The B2B Club became her legacy when she graduated in December 2016 with a double major in biology and biochemistry. She continues to be engaged with the club as a peer mentor. Ms. Tyler’s peers speak highly of her guidance, encouragement and mentorship, highlighting her exemplary leadership skills and her continued involvement with the club she started. 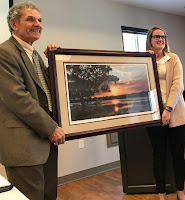 The Michel Porter AHEC Ambassador Award is presented to a South Carolina AHEC staff member who has made a major contribution to the enhancement of the South Carolina AHEC by exhibiting excellence in the following categories: Attitude, Helpfulness, Empowerment and Creativity. This year, the South Carolina AHEC is proud to bestow the award to South Carolina AHEC Director of Communications Ali McMenamin. Ms. McMenamin joined the South Carolina AHEC Program Office in 2013. With nearly four years on the AHEC team, she has served on the continuing professional development council and as a continuing education and communication program coordinator, as well as on the Office for Telehealth team, before transitioning into her current role at the end of 2016. With each task Ali approaches, she meets it with an open mind, kind spirit, and eager to better the state attitude. It is hard not to catch her delightful and meaningful attitude each morning when I walk through the door . . . Thank you for allowing me to nominate Ali for the position. In every project Ali encounters, you can see just how much she cares. That is what makes her stand out to me, she cares. She cares about improving her co-workers’ skills and knowledge, helping AHEC grow and become more recognized, and giving the citizens of South Carolina more access to the best possible health care. Congratulations to all of the 2017 South Carolina AHEC Excellence Award recipients and thank you for your contributions and service! Pee Dee AHEC's Continuing Professional Development Coordinator Cheryl Neuner was recognized on April 22 as a Palmetto Gold award recipient at the 2017 Annual Gala in Columbia. Palmetto Gold is a recognition and scholarship program for South Carolina nurses who amplify excellence in nursing practice and commitment to their nursing profession. Cheryl is responsible for providing accredited continuing professional development programs for nurses in the twelve county Pee Dee region and the coordination of the National AHEC HPV vaccination education program for South Carolina. She also serves on the South Carolina Nurses Association Continuing Education Approver Committee. Cheryl received her BSN degree from the Medical University of South Carolina and holds a neonatal intensive care nursing certification. Cheryl’s passion for excellence in nursing and education is evident in all of her work. She is enthusiastic and strives for innovation and the best possible delivery of education programs to healthcare providers, both in the Pee Dee region and beyond. Congratulations, Cheryl, on your well-deserved recognition! 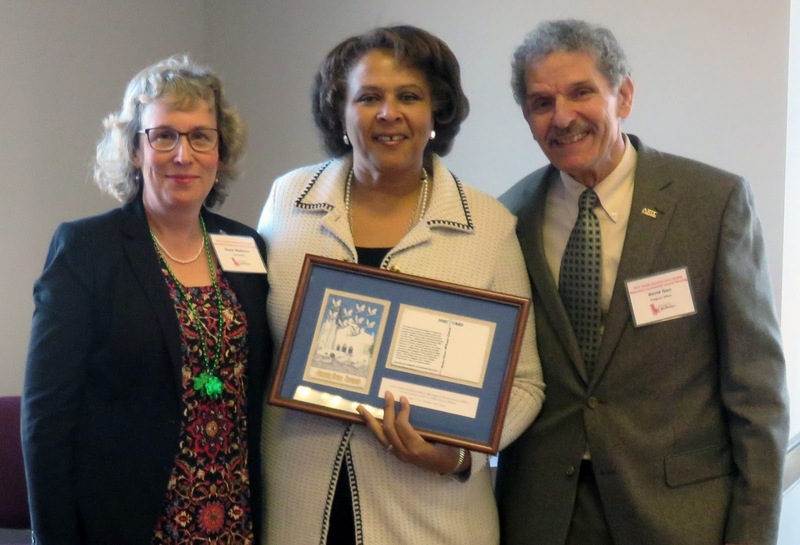 Lowcountry AHEC was honored to host Senator Margie Bright-Matthews for the welcome address at the 2017 South Carolina AHEC Annual Meeting in March. Senator Bright-Matthews, who received her Bachelor of Science and her Juris Doctorate from the University of South Carolina, serves as Senator of District 45, which includes Allendale, Beaufort, Charleston, Colleton, Hampton, and Jasper counties. She was elected in a Special Election on October 20, 2015, to fulfill the unexpired term of Senator Clementa Pinckney, who was killed while in bible study at Mother Emanuel AME Church in Charleston on June 17, 2015. Senator Bright-Matthews spoke of the people and communities from the district she serves and connected their healthcare needs with the work that South Carolina AHEC is doing in her region and the state. Her opening message set an inspiring tone for a day of workshops and collaboration for South Carolina AHEC System staff. In appreciation of her work and contributions, Lowcountry AHEC Center Director Diane Mathews announced that a donation was made in the senator’s honor to the MUSC College of Health Professions Kim Martino Minority Scholarship Fund. Ms. Mathews and South Carolina AHEC Executive Director Dr. David Garr also presented Senator Bright-Matthews with a framed fabric postcard designed to honor the 14 men, women, and children who were present in Mother Emmanuel AME Church on June 17, 2015. South Carolina AHEC thanks Senator Bright-Matthews for her continued service to the lowcountry! Lowcountry AHEC hosted the first offering of Primary Palliative Care Practices and Principles in April in conjunction with MUSC. The two-day workshop, which sold out, featured national and international speakers, Constance Dahlin, ANP-BC, ACHPN, FPCN, FAAN and Patrick J. Coyne, MSN, ACHRN, ACNS-BC, FAAN, FPCN. The program focuses on assisting rural facilities with the creation of palliative care teams. Along with the didactic portion of the course, there is a clinical portion in which the instructors will visit the site to provide further training and assistance. Beaufort Memorial Hospital will be the first hospital to be provided this additional training. One of the participants, Dr. Kurt Gambla from Beaufort Memorial Hospital (BMH) shared his thoughts and experiences from the two-day program. Prior to the program, BMH was in the initial planning stages of the creation of their palliative care team. “We had the general concept prior to now,” remarks Dr. Gambla, “but we needed to consider the infrastructure more and to structure our plan to prepare for growth.” The leadership is mission-driven knowing that having a palliative care team is the “right thing to do” even though it may not provide a significant amount of revenue. With the support of leadership, Dr. Gambla and his colleagues are optimistic to implement their palliative care team by the beginning of July. “The on-going relationship with Patrick Coyne will be the most valuable relationship that we need.” On April 13, the CEO of BMH and others from the BMH met with Patrick Coyne and Constance Dahlin to discuss the implementation of their palliative care team. They anticipate an expansion of roles in the future; however, at this time the palliative care team is comprised of Kurt Gambla, DO, Irina Borissova, MD, Amy Wagner, ANP-BC, Ronda O’Connell, ANP-BC, Jennifer Massey, LMSW ACHO, and Chaplain Ed Morgan. “I think it’s been an incredible learning experience which has helped us identify the gaps in our plan that we need to fill to make our team successful” says Dr. Gambla. Click here to see credit details, find out more and to register. Upstate AHEC is pleased to announce it achieved accreditation by the American Nurses Credentialing Center (ANCC). ANCC Accreditation distinguishes organizations that demonstrate quality and excellence in the curriculum design and delivery of continuing nursing education (CNE). Accreditation organizations, like Upstate AHEC meet comprehensive, evidence-based criteria to ensure CNE activities are effectively planned, implemented and evaluated. Nurses in the market served by Upstate AHEC now gain access to the highest caliber of education to meet certification or licensure requirements, which in turn contributes to improved health care outcomes. ANCC accreditation is a voluntary, peer review process intended to strengthen and sustain the quality and integrity of continuing nursing education, making it worthy of public confidence. Accrediting organizations, like ANCC, assess providers of continuing nursing education to ensure they meet rigorous global standards established by ANCC. For more information, visit www.upstateahec.org or www.nursecredentialing.com. Imagine being sick with a bacterial infection that the doctor is unable to cure, suffering with feelings of despair and hopelessness, or limiting your activities due to breathing difficulties. What should you do? No need to worry, call on a super trio of science explorers! Vanessa, Brian, and their trusty sidekick RX (pronounced Rex) guide the reader on an exploration of the population health topics of super bugs, PTSD, and asthma in the newest health information literacy comic book series. The three books are the third set in the South Carolina AHEC Health Information Literacy Comic Book Series. Previous sets within the series were developed by high school students enrolled at North Charleston High, Colleton High, and Lowcountry Leadership Charter Schools. In partnership with the National Library of Medicine (NLM) and the Biology Department of Winthrop University, AHEC sponsored the development of the books as a project associated with Winthrop University’s spring semester offering of the BIOL 122 course, Bench to Bedside 2: Introduction to Health Professions. Winthrop undergraduate students were charged with researching assigned public health themes and creating educational comic books that target middle school students. The pre-health students learned about helpful resources from the NLM, gained valuable communication, research and creative skills, increased their knowledge about health careers, and improved their health literacy. Winthrop Biology Department Chair Dwight Dimaculangan, PhD, describes the project as, “not just a one-and-done thing. It’s a developmental process to help introduce students to opportunities and develop skills”. “My hope for this comic book is to help spread awareness on PTSD and for people to know that it is treatable,” said biology major, Cassidy Hess of Jackson, South Carolina of the book she helped to author. The books were unveiled at a red carpet event held at Winthrop University. Faculty, staff, students, and administrative members of the Winthrop University family along with local school district and media representatives attended. Participants were abuzz with interest and enthusiasm about the potential of the comic book project as an educational tool. Visit https://www.scahec.net/hcp/comic/index.html to view electronic versions of the current and archived comic books. 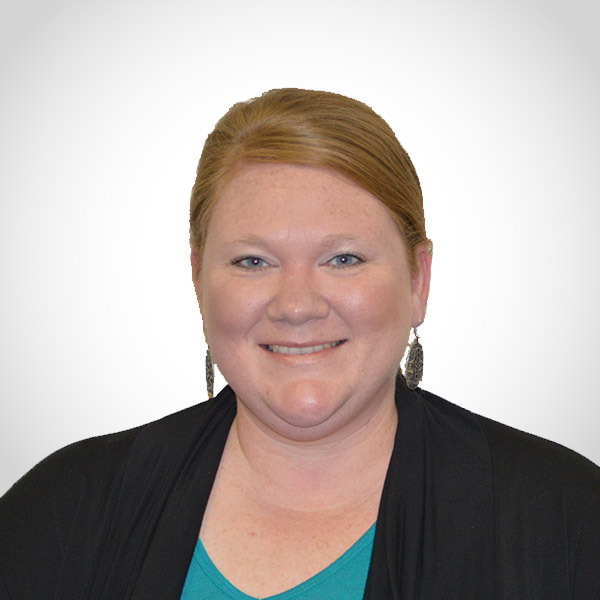 South Carolina AHEC welcomes Jennifer Bailey as Associate Program Director of Education and Evaluation. Jennifer joins the SC AHEC Program Office from MUSC where she was the Director of Operations in the Office of Interprofessional Initiatives. She also has a faculty appointment in the Department of Library Science and Informatics at MUSC and works closely with the interprofessional leaders at both MUSC and USC. Jennifer brings over 11 years of experience in medical and health professions education, building community partnerships for clinical education and service-learning and developing and evaluating interprofessional education and collaborative practice initiatives. She has also previously worked in program evaluation; research, scholarship and clinical education for physician assistant studies; and student affairs at the University of South Carolina, Wake Forest School of Medicine and MUSC, respectively. 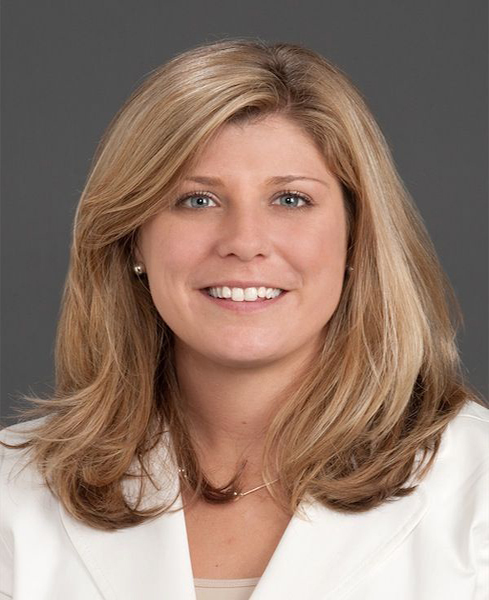 In her role with South Carolina AHEC, Jennifer will help build and sustain partnerships throughout the state and work collaboratively with the four regional AHEC centers and other South Carolina AHEC System members. Her expertise in interprofessional education, patient-centered care, research and evaluation, public health and practice transformation will enable her to develop, implement and evaluate new and innovative programs within South Carolina AHEC. Her unique perspective and extensive experience, as well as her emphasis on teambuilding and collaboration, make her an excellent addition to the South Carolina AHEC team. Jennifer holds a bachelor’s degree in business administration and information systems from Appalachian State University, a master’s degree in higher education administration from the University of North Carolina Greensboro, a graduate certificate in public health and is currently completing her doctoral studies in educational foundations and inquiry at the University of South Carolina. Jennifer has assumed the role of Associate Program Director that was held previously by Dr. Deborah Carson for the past 13 years. Dr. Carson may continue to work with South Carolina AHEC as a consultant on special projects. She will be using her new free time in order to travel and enjoy time with her family and grandchildren. Jennifer can be reached at 843-792-8230 or baileyje@musc.edu. Lauren Taylor has returned to Upstate AHEC as Customer Relations and Data Management Coordinator after a short sabbatical. Lauren is a native of Anderson, South Carolina and received her Bachelor of Arts and Master of Business Administration degrees from Anderson University. Lauren has a multitude of unique experience from several different areas including project management, strategic planning, administrative, marketing and public relations. Lauren is responsible for managing Upstate AHEC’s database and ensuring that all live continuing professional development courses are carried out and evaluated by participants. Lauren possesses a creative side reflected by her entrepreneurial success as owner of an artist’s paint shop, where she creates a variety of hand painted gifts and wall hangings. Lauren’s many hobbies include traveling, cooking, painting and serving in a volunteer role among numerous non-profit charitable organizations in the Anderson area. Welcome back, Lauren! She can be reached at ltaylor@upstateahec.org or (864) 349-1178.